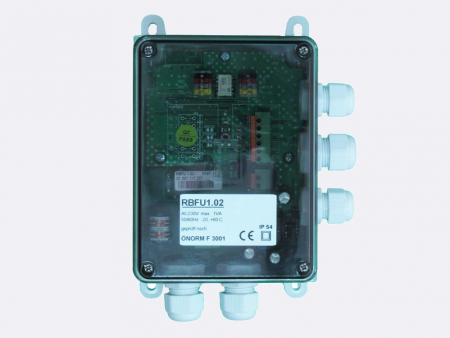 BKN 230 - 24 RB is used for controlling up to two Belimo MP bus fire damper actuators (BF24 TL-T-ST and BLF24K - T- ST). 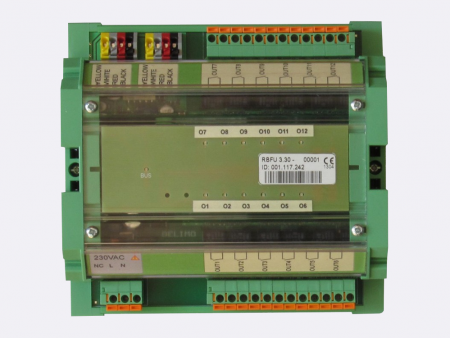 The unit is connected to RingBus master controller via the 4 wire Ringbus communication. 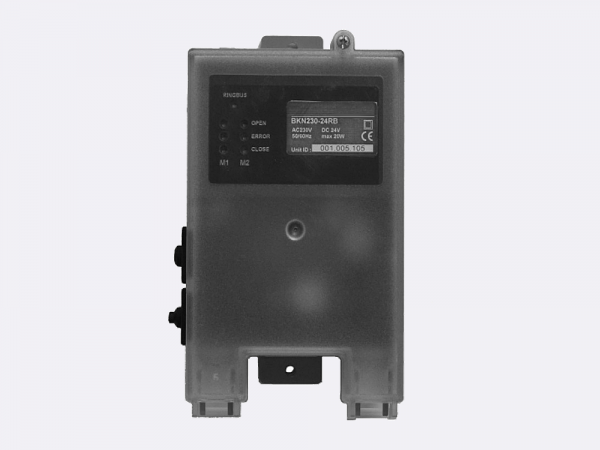 The Belimo MP bus actuators are equipped with connector that is plugged directly in to BKN 230-24RB unit. The actuators are isolated from mains by a transformer. Each unit has a predefined address and therefore has not to be addressed during the system commissioning. 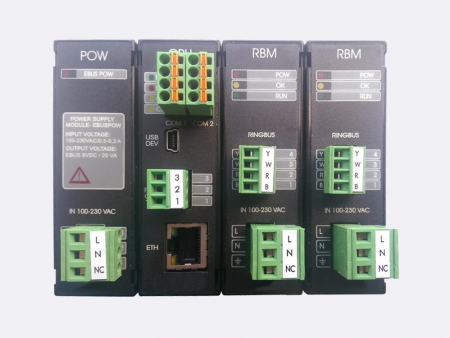 BKN 230-24RB unit is able to work without 230 V, but then it is only sending data about it‘s status to the Ringbus master controller and is not able to communicate with actuators. 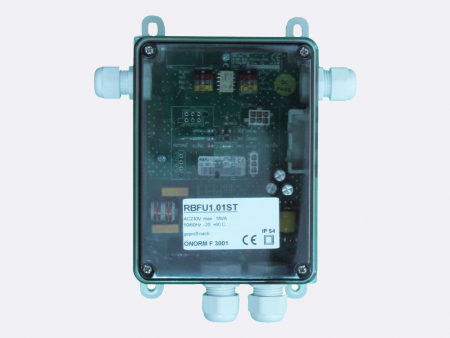 BKN 230-24RB provides one service port for each actuator. Using ZIP tool, user is able to set actuator‘s parameters. Using test pushbutton, user is able to test dampers and reset error flags on actuators.